In recent years, the online poker industry has been searching high and low for ways of restoring and maintaining the trust of its players. The last decade has seen several high-profile instances of players’ trust breached by online poker networks, resulting in lost bankrolls and deposits along the way. However, one of the latest technological revolutions is hoping to play a part in changing the face of online poker forever. The power of the decentralized blockchain platform could bring about the next generation of online poker action, giving players more control over their funds in protection and payouts. Both recreational poker players and those who treat it as a business have experienced frustrations with networks in a lack of transparency with their technology. The blockchain is looking to help networks reaffirm their legitimacy and the integrity of each game available at their tables by helping brands decentralize the randomized nature of the cards that appear in each hand. Random number generation (RNG) has always been a critical facet of any online poker room with integrity and transparency. However, CoinPoker is soon to go one step further by decentralizing its RNGs, providing 360-degree transparency over all game types, as players can view their impact on card shuffling. Aside from the actions of blockchain-powered poker rooms themselves, it’s also crucial that networks monitor the actions of their players, too. CoinPoker utilizes its Fairplay security and fraud system, designed to keep track of players’ actions and inputs. As a decentralized program with no human input while in operation, it identifies and eliminates all elements of foul play by players, such as the use of prohibited software and tools. 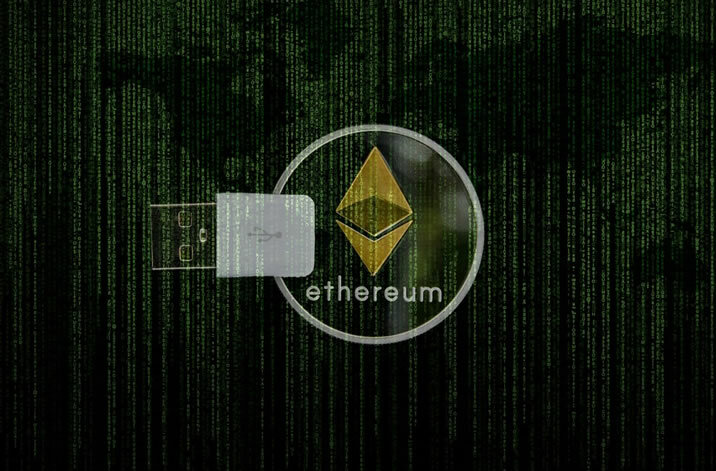 Platforms such as CoinPoker are also transforming levels of privacy for online poker players through the implementation of Ethereum-powered smart contracts. A smart contract can digitally verify or facilitate the processing of financial transactions and the transfer of sensitive personal information. Smart contracts housed on the blockchain cannot be tampered with or accessed by any third party. It is also a means of simplifying the sign-up process for new players, guarding against the collection and storage of redundant customer data. Best of all, blockchain-powered online poker networks allow for the creation of a universal cryptocurrency for which players in all four corners of the world can play, regardless of their country’s fiat currency. CoinPoker accepts the CHP Ethereum-based cryptocurrency that can be deposited and withdrawn to and from player accounts within a matter of seconds using the smart contract functionality. Players’ winnings in CHP can then be converted into fiat currency at a later date. On the whole, blockchain-powered online poker can revolutionize the game, reaching out to territories that have otherwise been left untouched in the past. Countries such as Japan, which are big on cryptocurrencies, can enjoy a new hobby without the threat of frustrating rules and regulations getting in the way. The job of platforms such as CoinPoker and Virtue Poker is to educate and reach out to players of traditional online poker networks and extol the virtues of blockchain’s efficiency and in-game transparency.